Floating World Comics, 9781942801702, 240pp. 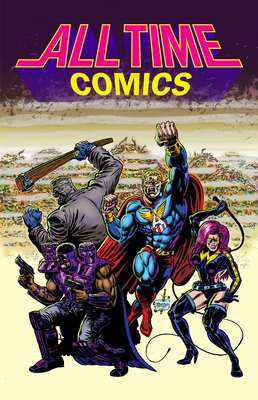 Old world meets new world as indie cartoonists and classic comic book creators collaborate with Editor-In-Chief Josh Bayer to unleash a superhero book that dares to follow its own path. ALL TIME COMICS embraces old-school, four-color nostalgia to deliver everything you could hope for in comics, a seamless circle between the past and the future. ALL TIME COMICS is the joint venture of the Bayer brothers: Josh Bayer, an underground comics artist and teacher, and acclaimed mainstream director Samuel Bayer, who launched his career 25 years ago with Nirvana's "Smells Like Teen Spirit" video.